St. Paul Antiochian Orthodox Church in Emmaus, Pennsylvania has unveiled its newly designed, custom parish website. Built on a flexible foundation for content-management, the new site is designed for greater accessibility for both mobile and desktop users. Special attention has been paid to making the site mobile-friendly, as more web traffic is now accessed via smartphones and other mobile devices than with desktop computers. 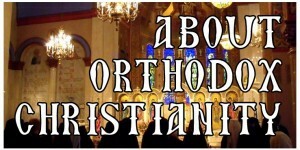 The website features both time-sensitive content about services, events and classes at St. Paul’s, as well as resources to learn about the Orthodox Christian faith and the parish in particular. Special thanks goes to Sayre Design for their beautiful graphic design work. Michael and Nancy Sayre are members of St. Paul’s. Assistance was also provided by Gabe Martini Design.